-- An entire weekend on a private Rio Grande Valley ranch. Sessions in the photo blinds plus opportunities to photograph raptors in flight. June 28-July 2, 2017. Ranch near Rio Grande City. $1700 includes lodging and meals. Single rooms available for added fee. More Information. 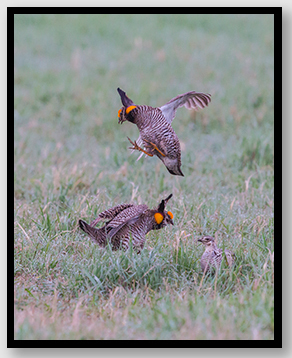 -- View and photograph greater prairie-chickens and sharp-tailed grouse on the Nebraska Sandhills. Lodging on a private ranch with breakfast and dinner included. Plenty of time to explore the local area. TBA in 2019. More Information. Small group travel. Birdwatcher, photographers, nature lovers, and their traveling companions welcome. Gary and Kathy Clark and Strabo Tours make a donation to Houston Audubon Society when you sign-up for a tour. Explore this tropical paradise with Gary and Kathy Adams Clark. This trip offers opportunities to photograph hummingbirds at several elevations and locations. Two eco-systems on the eastern and western slopes of the Andes Mountains. Lots of birds at feeders plus opportunities to explore the high Antisana. Limited to 12 participants. 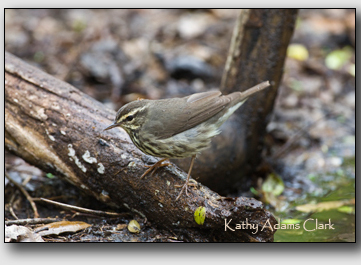 Birders will enjoy a slow pace with plenty of time to study and learn the birds. Photographers will love this trip because the birds are close and plentiful. Great trip for spouses, friends or companions. Local Ecuadorian naturalist with us throughout the trip. $TBA includes lodges, local transportation, and some meals. Single room supplement available. Air to Ecuador is extra. Full Brochure or email questions. 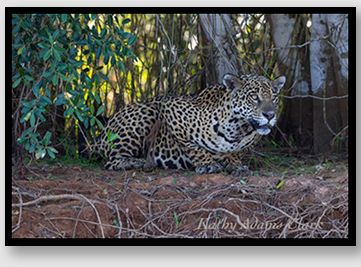 Explore the magnificent wetlands of Brazil's Pantanal with Gary Clark and Kathy Adams Clark. View and photograph birds plus spend five days on a floating hotel looking for the jaguar. 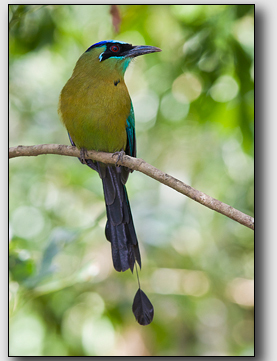 This is a fabulous trip for the avid explorer, photographer, and birdwatcher. Limited to 12 participants. Extension to southern Brazil to explore the Cerrado. This trip filled fast in 2016 so register early. $7195 with lodging, guides, and most meals covered. Extension $2195 plus internal flight for extra. Request a brochure or Strabo Tours for details. Intensive game viewing with only 5 people per vehicle. The Serengeti National Park, Ngorongoro Crater, Tarangire National Park. We stop for birds as well as wildlife! Ideal for photographers, birdwatchers, and nature loving traveling companions. Comfortable lodging in a variety of settings from tent camps to luxury hotels. Visit Kathy Adams Clark to register on-line.